Because ‘young adult’ novels are so often written to be accessible, it comes as a surprise to discover one that is the teen equivalent of literary fiction. 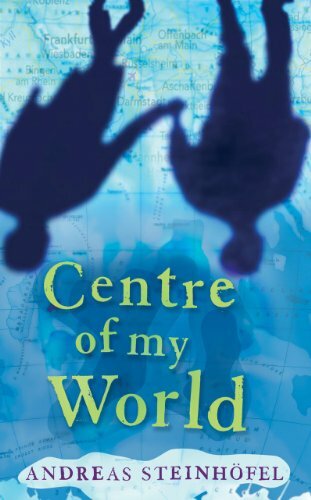 Centre of my World is an exquisitely, subtly crafted and demanding work in which a series of flashbacks, interwoven into a gentle narrative, gradually explain ‘where we are now’. The hero narrator is 17-year-old Phil who knows nothing about his American father but quite a lot about his mother’s long and continuing list of admirers. When pregnant with Phil and his twin sister, she returned from Massachusetts to Germany. Giving birth on the doorstep of her recently deceased sister, she was cared for by a life-affirming lesbian and inherited her sister’s gothic property. On the outskirts of a provincial, narrow-minded town, his mother has no qualms about offending the locals and Phil grows up to be unconcerned about petty attitudes to his gayness. This sophisticated novel (which also features Phil’s enigmatic sister) is a story of painful experiences and the search for love. Its resolution promises a future full of hope. It’s beautifully written (and translated by Alisa Jaffa – albeit into American English) and Andersen Press deserves many accolades for the importation of a significant European novel.